Hear every highlight, interview, and the entire radio broadcast of Wisconsin's season-opening 34-3 win over Western Kentucky to kick off the 2018 season! Wisconsin used a balanced offensive attack to breeze past Western Kentucky, rushing for over 200 yards and also passing for 200 yards in the win. The Badgers have won 40 straight non-conference home games, and have won nine of their past 10 home night games. Hear the entire radio broadcast on the Badger Sports Network of the Wisconsin Badgers' 34-3 season-opening win over Western Kentucky on Friday night at Camp Randall Stadium! Hear all of Matt Lepay's biggest calls from Wisconsin's 34-3 season-opening victory over Western Kentucky! 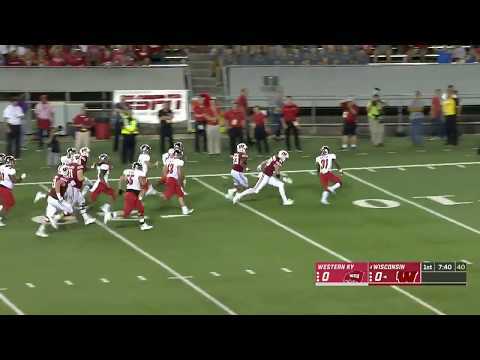 See all of the biggest plays from the Wisconsin Badgers' 34-3 win over the Western Kentucky Hilltoppers on Friday night at Camp Randall Stadium! Paul Chryst was happy with the effort in Wisconsin's 34-3 win over Western Kentucky in the opening week at Camp Randall Stadium. 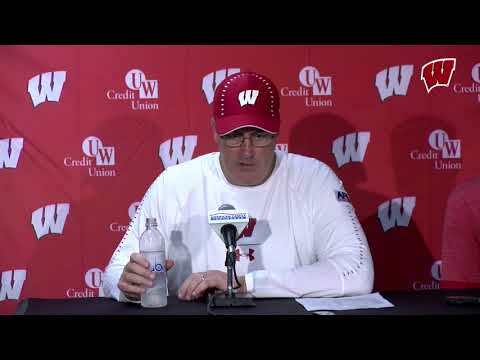 Paul Chryst goes over the things he liked and didn't like in the Wisconsin Badgers' season opener, as UW beat Western Kentucky 34-3 on Friday night at Camp Randall Stadium. Several Wisconsin Badgers football players reacted to winning their season opener over Western Kentucky, 34-3, on Friday night at Camp Randall Stadium. Hear from Jonathan Taylor after his 145-yard, two-touchdown performance in Wisconsin's 34-3 victory over Western Kentucky on Friday night. A.J. Taylor led the revamped Wisconsin Badgers' receiver group, with five catches for 85 yards in their 34-3 win over Western Kentucky on Friday night at Camp Randall Stadium. Jake Ferguson, a Madison Memorial product, had four receptions for 43 yards in the Wisconsin Badgers' 34-3 win over Western Kentucky on Friday night at Camp Randall Stadium. Ryan Connelly discusses the defensive effort of the Wisconsin Badgers in their season-opening win over Western Kentucky, 34-3. 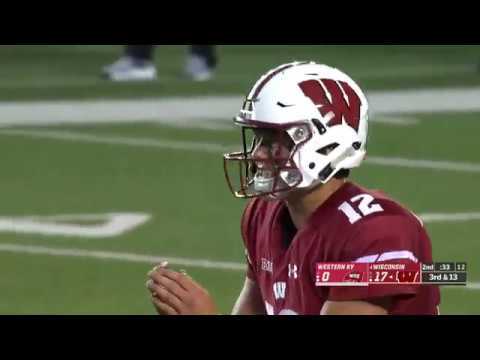 Alex Hornibrook tossed two touchdowns and Jonathan Taylor ran for two scores as the Wisconsin Badgers started the season 1-0 with a Friday night win over Western Kentucky.